This is the twenty nineth in a series of letters written by someone currently in the custody of the Connecticut Department of Correction. Three times per week, Mon., Wed., and Friday, one letter will be published until we catch up to the present day. 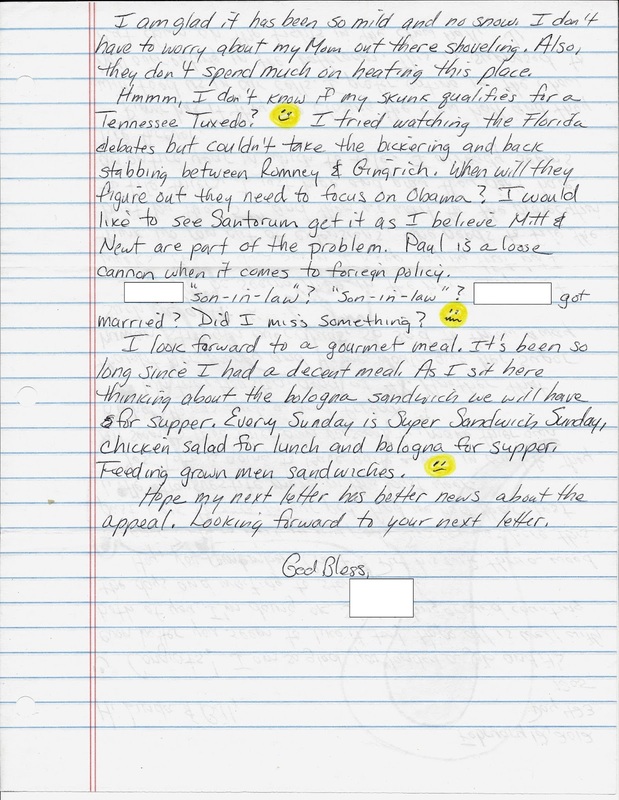 In this issue, our correspondent talks about his pen pals' job and new son-in-law, Micheal Skakel, a new prisoner (a transvestite), filing a brief, closing the chow hall, "Super Sandwich Sunday" and more! Those following this series will observe that the letters started out rather "slow" but as time went by, they became more personal, revealing the emotional and physical distresses faced by those committed to Connecticut's prisons. These distresses are not confined (no pun intended) to just the prisoner, but extend to the prisoner's family and friends. And we pay for it. Anyone wishing to write to our correspondent may send a letter to me, at middletowninsider@gmail.com and I will see that it is forwarded. 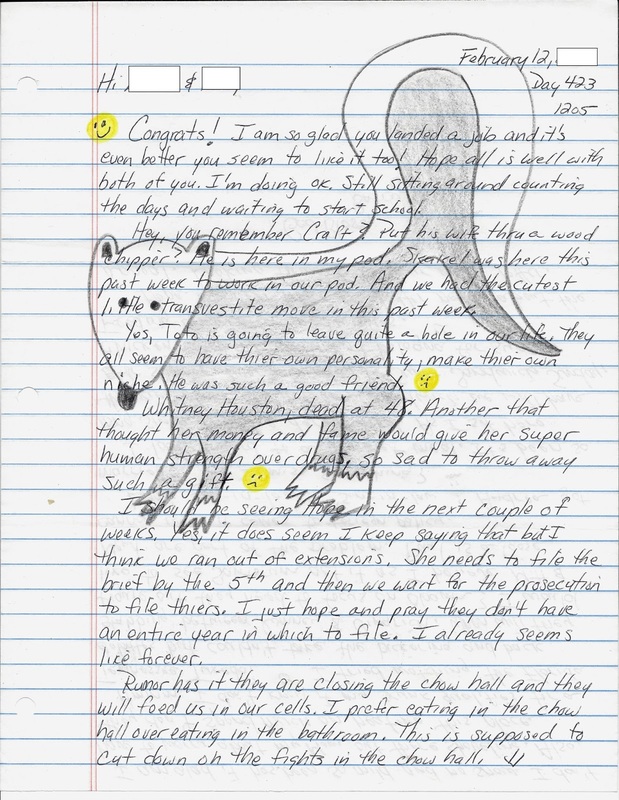 In the subject line, please put “Behind Bars” and address your letter to “Dear Pen Pal”. While I can’t promise a personal response, I will see to it that you get it, if you provide me with your mailing address. I will also publish your letters, both to and from, after first redacting any personally identifying information. The writer’s identity will never be disclosed. That info will forever remain confidential. 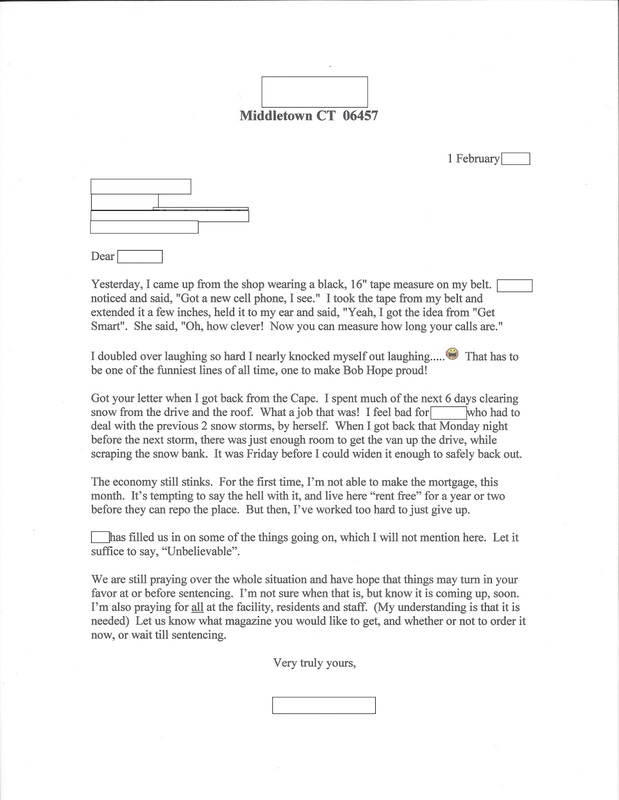 The bonus is a letter sent to our correspondent that happened to turn up. It is from earlier in the year, as you will gather from the mention of snow.